When diy plumbing goes wrong finding a quick and reliable solution to resolving the issue is usually the first thought that comes to mind. Emergency plumbers offer a fast solution, to a situation such as this, but it will be costly. To avoid escalating a simple diy plumbing repair to an emergency, it would be wise to firstly understand how to isolate the water suppy. 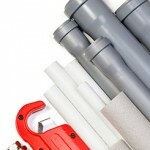 Being Unfamiliar with plumbing repairs can be a receipe for disaster, and this is usually when diy plumbing goes wrong. Becoming familiar with different parts and fittings is a positive step towards understanding how things work. Its is very important to follow the correct procedures undertaken when closing or repairing joints. An experienced plumber carrying out plumbing repairs can often make a task seem a lot easer than it actually is. However this not only demonstrates the high level of skills required to successfully carry out repairs, it also gives the impression to an observer that plumbing is a breeze. 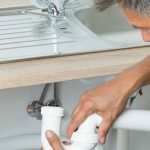 Some inexperienced diyers can encounters problems after completing plumbing repairs, and find them self’s unable to reestablish the water supply without coursing a leak. A typical example of when diy plumbing goes wrong, would be when a pipe has not been fully inserted into a fitting. Fittings can appear to be leak free, but later start to leak. 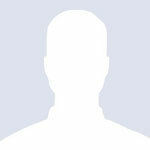 These situations can course quite serious interior and structial water damage. When undertaking a basic diy task which seemed straight forward when first started can quickly became a nightmare.when diy plumbing goes wrong most people can,t work out why it went wrong let alone how to fix the problem , that’s when an experienced plumber is needed. An experienced plumber is able to ascertain the quickset route to turning off the water supply which is not always via the stopcock.there maybe be isolation valves fitted which could be a quicker process or depending on the location of the leak your whole central heating system my have to be drained down. This task should only be under taken by persons experienced and competent to do so.